Home > Shop > Handmade green glass smoking pipe. Handmade green glass smoking pipe. New Handmade 4.5" long. green glass smoking pipe for weed with free smoking pipe screens and free shipping US only. 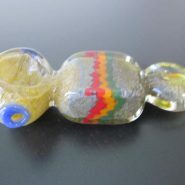 New handmade solid glass mixing to this amazing green glass smoking pipe. made with love and care for the happy pipe smokers here and around the world. 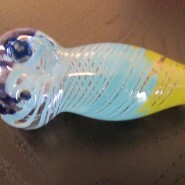 nice blue line decor on the head of the glass pipe. 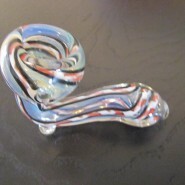 great solid glass line to ensure great grip when smoking your new pipes.